We are glad to advise you on all the details of founding a company and changing corporate form – for example, from a sole proprietorship to a public limited company (GmbH). Naturally this service also includes either the drafting or scrutinizing of articles of association, preparation of executive contracts, registration with the commercial register (Handelsregister), solving problems between partners or between partner and company, as well as clearing up disputes between the company and business associates. Further, because we work in a co-partnership we are able to provide all the specialist knowledge necessary for dealing with legal issues that may arise in the operation of a business undertaking. These might be questions regarding contracts of employment or services, lease of commercial premises, financial administration (trading licenses, catering licenses etc. ), tax law as well as work permits und residence permits for employees. 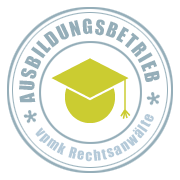 Please ask for a non-binding offer for our services via corporate [at] vpmk.de.